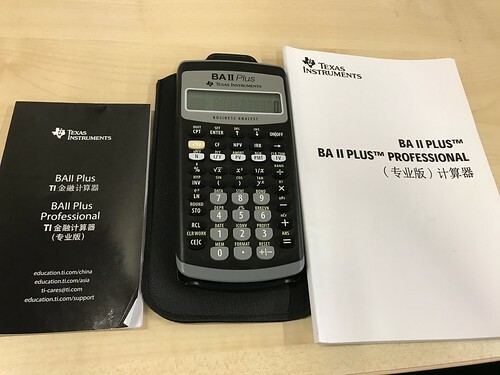 I bought the BA II Plus Professional Financial Calculator on the Taobao tmall in June’18, it cost me RMB 250. I think it was good price compare to buying it in Singapore as long as you happened to go back to China to bring to Singapore. 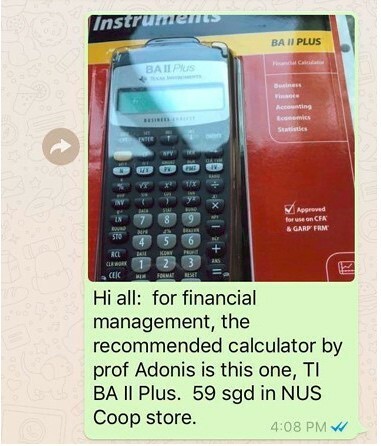 It is for MBA course BMA5008, FINANCIAL MANAGEMENT, teaching by professor Adonis. The calculator came with the leather case, Chinese user manual, one CR2032 spare battery, and free gift stationary set for exam (晨光考试套装). 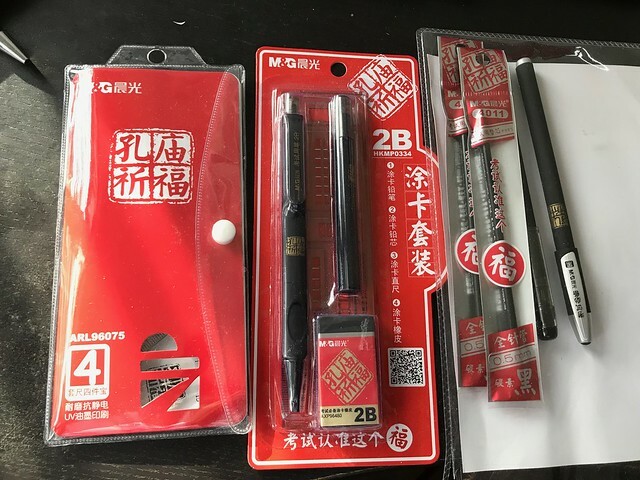 Stationary set for exam (晨光考试套装), including pencil, pen, rulers, the 2B automatic pencil is very useful for the exam, as the two mid term exams are using the 2B pencil to shade the exam card to be read in machine. The funny thing is that the the set was marked “Blessed by the Temple of Confucius” on their packages, hope it helped my mid term exam. According to what’app group, the price in Singapore is SGD59. Online also shows the same price.